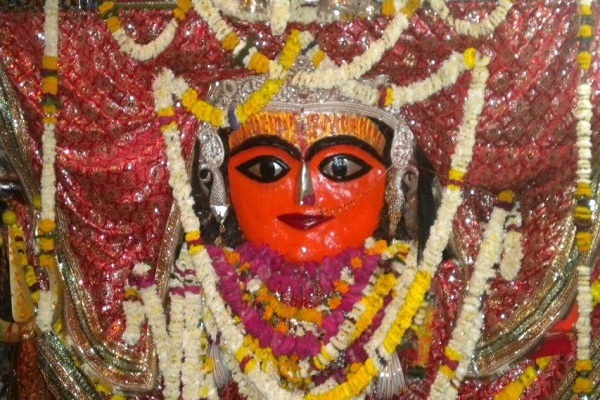 Shakambhari is known as reincarnation of durga. There are three shaktipeeths of godess Shakambhari in the country. It is believed that the oldest of these is located at in Sambhar town, nearly 100kms from Jaipur, the state capital of Rajasthan. The temple in Sambhar is nearly 2500 years old. 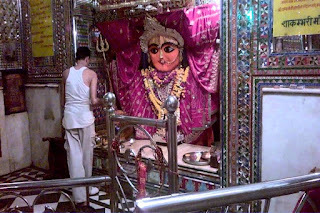 Though, godess Shakambhari is the kuldevi of Chauhan dynesty, but devotees of diverse religions and societies worship the godess. The families of devotees seek blessings of divine godess by offering Dhok. A fair is observed in this temple on Ashtami of Bhadrapad month as per hindu calender. Devotees come here from far and distant places for darshan in both Sharadiya and Ashwin Navaratri. As per the legend and village folkfore, the main deity is manifested itself from the earth. As per the records available, king Vasudev of Chauhan dynesty constructed Sambhar Lake and Sambhar city near the revered temple of godess Shakambhari. As the legend goes, the name Sambhar is originated from Shakambhari only. There are references of this temple in epics such as Mahabhrarata, Shiv Purana and Markendeya Purana. It says the divine godess has done Tapasya at this parched land for 100 years. The godess fed on only Shak (means vegetables) once in a month while oberving Tapasya. tHE green vegetables have started growing on this secluded place only by the tough Tapasya of divine mother. Many saints visited this place to witness the same. As the tapasya was based on Shak, therefore the name Shakambhari came in to existance. After the Tapasya, this place became lush green. Many precious stones and minerals were discovered here after that. The growing properity of this place gave rise to many quarrels. Then mother godess turned the treasure into salt. 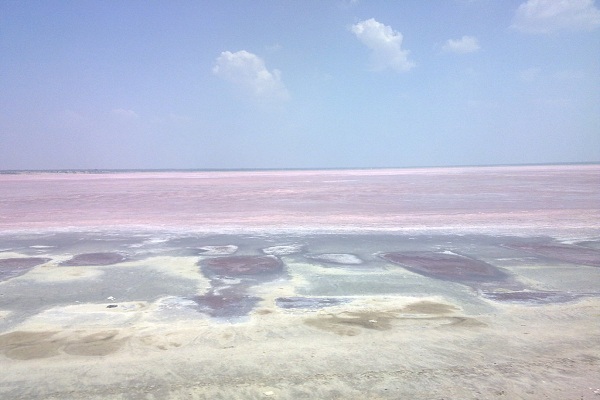 Today, there is a salt lake sprawled in approximately 90 sq. mile of area. Some years ago, there size of this lake was much bigger. During the rule of Chauhans, Sambhar and its surrounding area was called Sapadlksh, means the region of Sawalkh population or revenue. As per another legend, the king Yayati married here Devyani and Sharmishta, the daughters of Shukracharya. 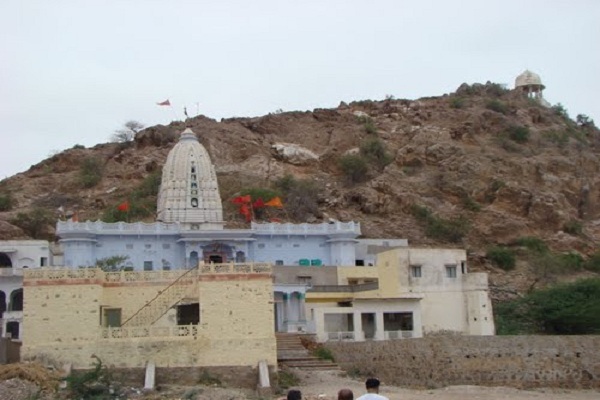 Goddess Shakambhari Temple is approximately 15 kms away from Sambhar Town. The distance from Jaipur to Sambhar is 70kms. The distance of Sambhar town from Jaipur Airport is 90kms, Railway station and Bus stand is 70kms respectively. One can reach Jaipur through road. There is a railway station in Sambhar which is well connected to Jaipur, Ajmer, Nagaur and other cities.